The Racing Horse continues to offer fabulous information for just 33p per day and we warmed up nicely for Royal Ascot with another two great pieces of betting advice at York from just three races. In the Sky Bet Grand Cup Listed race at York we landed the 1-2-3 in the correct order and the Trifecta paid £42.50. We were not finished there, in the very next race we advised Encrypted at 28/1 to win the Sprint Handicap and this one paid £30.10 on the Tote (started at 25/1). The fantastic results we have been getting this year are not flukes - we use the FOUR CORNERS of our betting strategy in concomitance with our trends and the combination really works! Profiling gives the bettor the best chance to find those big priced winners and we provide that service for our members. 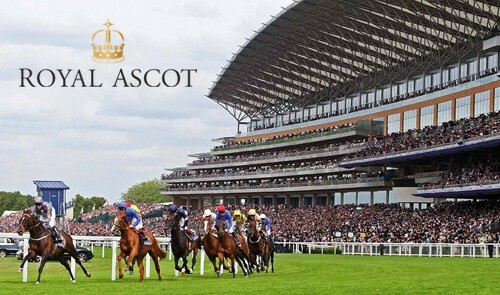 Do not miss out on our Ascot trends and nominations as we attempt to go through the week advising on every race and still come out with a profit. We already have three Pacafis running for us and look certain to have two more. It's going to be excitement and he hardest thing we have to do is to keep the lid on! We have been talking about value again recently where the fundamental rule is to look for markets where value may be overlooked by the masses. Our membership is now closed at 40 members - we have done that purposely so the prices we advise are available to all of our members, and that is clearly working even with the Pacafi. Our experience tells us there comes a point when certain angles are played out and the margins become ultra slim or non-existent. Our personal betting improved when our bets had to meet a certain criteria, sensible filters are an excellent strike-rate improver when the right ones are used. The point to remember is the base platform rules must deliver a profit before filtration, the filtration's duty is to aid the strike-rate. Proven mathematical laws are the governing force of horse racing betting. Consequently every bet we place is conceived then predicated from statistical analysis protected by a maths-based edge with perceived value attached. Our formula is simple because we are yet to be convinced that a complication of a system is proportional to profit. So what do we mean by a maths-based edge? It means finding something with a solid mathematical core, something historically profitable and something that is unlikely to change or suffer fatigue going forward. Then, if we can filter negative influences from the original proposal and provide a sound rationale for doing so, we can claim that betting edge. The absolute key to success in betting is the ability to identify value bet situations where the odds available are greater than the true chance of winning and then to have the discipline to methodically bet only when these situations arise. If this is done the laws of mathematics and probability dictate that in the long term, you will make a profit. Our information and betting advice is for educational purposes only. Please exercise caution when acting upon our advice and remember that gambling carries risk. No liability is taken by the site or product owner following any of the information given or sold to you. Betting always involves a level of risk and you should never bet more than you can afford to lose.